Great Scott! It’s (almost) ‘Back to the Future’ Day! © "Back to the Future"
Thirty years ago, a wild-haired scientist took Marty McFly on a journey into the future – and that fateful day was October 21, 2015. In other words, the future is about to become the present. If you'd like to celebrate, there are a myriad of ways to do so. The Back to the Future trilogy ‒ including the all-important second movie, around which all the celebrations are based ‒ will be shown in theaters nationwide, with a varying number of activities available to celebrate the trilogy’s 30th anniversary. But if just seeing the movie isn’t enough for you ‒ because, after all, “there’s something very familiar about all this...” ‒ make sure you have your “time circuits on” so you can travel back to the future yourself. Back in Time, a documentary chronicling the making of the trilogy and its legacy, will debut on Wednesday at a We’re Going Back event in Los Angeles, California. For those who can’t make it to the Golden State in time, it will also be released on iTunes the same day. 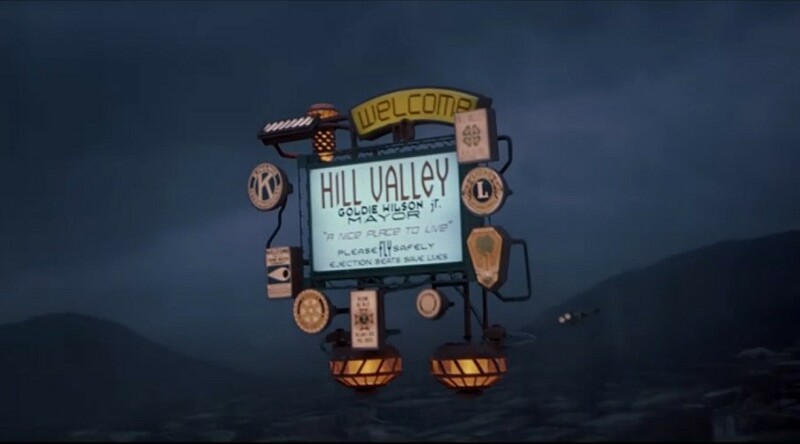 For five days beginning on Wednesday, Reston, Virginia is renaming itself Hill Valley after the fictional town to which McFly and friends traveled in the “space-time continuum” to save both future and past. The high-tech suburb of Washington, DC is playing host to the Washington West International Film Festival, which will show all three films. On Sunday, Christopher Lloyd, who played Doc Brown, will attend a red-carpet screening of Back to the Future, joined by Bob Gale, who co-wrote all three films, and Claudia Wells, who played Parker in the first film. All proceeds from the star-studded event will be donated to the Michael J. Fox Foundation for Parkinson’s Research. Fox, who played McFly, was diagnosed with Parkinson’s at age 29, but didn’t disclose his condition to the public until 1998. If a measly film festival isn’t enough for you, you can literally travel with the cast and crew members from the trilogy, though the itinerary includes Fort Lauderdale, Florida; Haiti, Jamaica; and Cozumel, Mexico, rather than “back to the future” or “back from the future.” The Celebrity Cruise to End Parkinson’s Disease is a collaboration between Team Fox, the fundraising arm of the Michael J. Fox Foundation, and the film franchise to raise money and awareness for a cure. The LA area is going all out for the 30th anniversary with a week dedicated to the films. The We’re Going Back events on Wednesday will include a custom tour of the Universal Studios backlot, a screening of Back to the Future Part II “with surprises!” and an exclusive world premiere of Out Of Time: Saving the DeLorean Time Machine. Events planned for the rest of the week include riding on a hoverboard through Hill Valley with the trilogy’s original stunt team, tours of filming locations, a costume contest, an Enchantment Under the Sea Dance, and a panel discussion with the original cast and crew. The Million McFly March, AKA the largest gathering of McFlys in history, will take place in Burbank, California to raise money for Team Fox to help fight Parkinson’s disease. Fans will gather at the Burger King where McFly is seen grabbing ahold of a car while riding his skateboard at the beginning of the movie. Watching the movies and heading to film events aren’t the only ways to celebrate the 30th anniversary and Wednesday’s Future Day. Like the “beautiful views” broadcast “24 hours a day” on the Scenery Channel, art is getting in on the action. Nice Kicks will host a charity auction on eBay featuring original pieces of artwork inspired by the film franchise. All proceeds generated from the auction will be donated to the Michael J. Fox Foundation. Over 40 artists have created tributes for the Outatime action. Photonic Playground began presenting its Save the Clock Tower: A Back to the Future Tribute art show in Santa Ana, California on October 3. The show will run through November 7. On the other side of the Atlantic, New Rule Collective is holding an exhibition of limited-edition prints based on Back to the Future Part II at a gallery in east London. The artwork will also be collected in a book. Additionally, the studio released an ad for the hoverboard that we still don’t have. And, of course, it still doesn’t work on water without power. Meanwhile, Pepsi is making one of the film’s infamous predictions about the future come true, releasing limited editions of “Pepsi Perfect,” as seen in Cafe 80s. It will not, however, be served to you by a robot version of Ronald Reagan. Speaking of limited editions, USA Today will release a special issue of its iconic paper on Thursday. The headlines likely won’t change, however. If music is more your thing, head to the Back to the Future Live in Concerts in Denver, Colorado and Perth, Australia, or view memorabilia at a special Back to the Future museum exhibition at the Ecomuseo del Freidano in Settimo Torinese, Italy. Of course, if you “can’t imagine hell being much worse” than going to these events, you can always stay home and celebrate Future Day from the comfort of your couch. Amazon Prime has the exclusive streaming rights to the trilogy for the month of October, and there will be a re-release of the movies on Blu-Ray and DVD. It comes in Flux Capacitor casing and also includes the Back to the Future Animated Series, available for the first time on DVD, as well as a short film featuring Christopher Lloyd that will explain why the 2015 of today isn’t the same 2015 from Back to the Future Part II. And, for the readers among you, the Back to the Future comic book series will also be released on Wednesday. 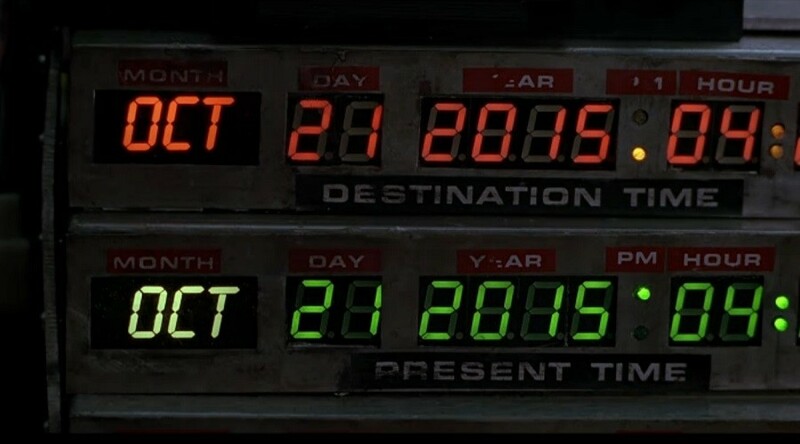 You'd be forgiven if you thought Back to the Future day actually happened a few years ago. In 2012, a photoshopped image was passed around social media which tricked folks into thinking the futuristic date shown in the movie was July 27, 2012. A similar hoax was circulated two years prior, claiming the date in the film was July 5, 2010. A Tumblr account was created to make it easy to troll your friends with the date, updating the photoshopped image to correspond with the current day, thereby making every day Back to the Future day. And while it's certainly exciting to be living in the future, there are numerous websites that point out the things the film got wrong. For instance, we still don't have flying cars. Or shoes that tie their own shoelaces. But the movie actually did a great job of predicting wireless video games, 3D movies, and handheld tablets. Plus, there are some great modern inventions that the movie didn't even fathom at the time – such as GPS and 3D printing.